Down Brit Grit Alley this week I take a quick gander at a few Brit Grit films that I've seen of late. 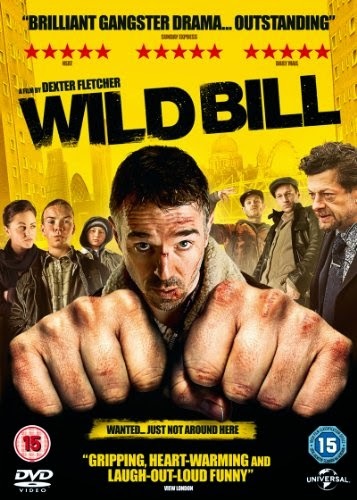 Former tough guy Bill returns home to his dreary flat in a London tower block, after 11 years in the nick, only to find out that his wife has done a runner to Spain, leaving their two young sons to fend for themselves. Writer Danny King, director Dexter Fletcher and a collection of great performances turn what could have been merely grim social realism into a splendid, funny and moving film. Highly recommended. Painfully dreary Chris and Tina head off on a caravanning trip around the UK. Things quickly turn gruesome, however. Ben Wheatley’s Sightseers is a particularly nasty black comedy that comes across like Mike Leigh mixed with Eli Roth. I loved it. Ken Loach’s film career peaked with Kes and he hasn’t come anywhere near it since then, a lot of his films being about as cinematic as a Health and Safety film. Still, when he tells a decent yarn his films can be involving. The Angels’ Share is the story a group of dispossessed youths who find inspiration after a trip to a whisky distillery… This is a funny and touching film that is reminiscent of a children’s fable. Set in the early ‘70s, during the miners’ strikes and power cuts, Harrigan is a kind of urban western. It’s the story of a tough cop, close to retirement, who returns to the north east of England to clean up a crime riddled estate. Uneven and at times OTT, Harrigan is enjoyable enough, with some fine performances and a strong atmosphere. Ultimately, it tries too hard and would probably have been better served as a TV series. Some of it was filmed in my home town of Hartlepool. Redemption AKA Hummingbird is an ill-fitting mish-mash of social drama and action movie with a chilly performance from Agata Buzek as a nun that helps out a homeless man who is in fact ex- special forces on the run from a court martial. Jason Statham is great, of course, but like in the TV series Kung Fu you’re just waiting for the philosophical cobblers to end and for him to kick some botty. Which he does with great aplomb! Tasty cinematography from Chris Menges add to making Redemption an enjoyable if gauche film.